A few years ago, almost every house in the neighborhood had a water tank, and the process of harvesting rainwater was the norm. As more people left the country for the cities and urban areas, the use of rainwater dwindled and homesteads now dwell on town water. The results – water tanks have become a part of history. 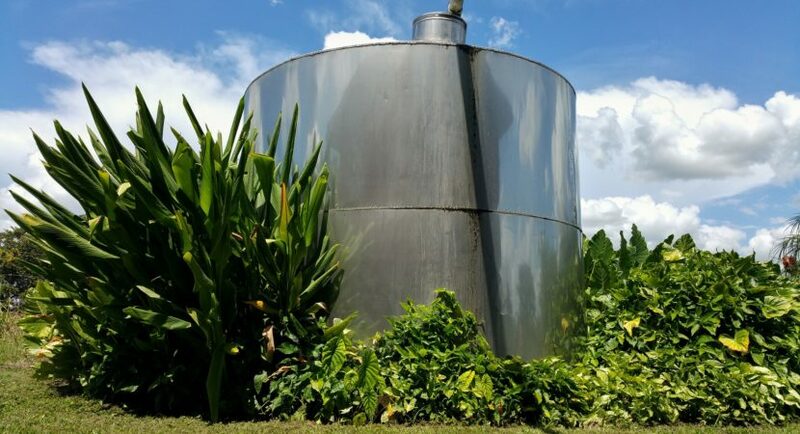 In this time and age when everyone is trying to reduce the carbon footprint, water tanks have sprouted up and are now a household fixture. The good thing is that these tanks are not just right for the environment, but for several other benefits. The tank is great for the environment, but it is also good for your pocket and lifestyle. Let us explore the top reasons to install the water tank in your home or business. Water has become scarce. Over the years the water shortage has become more pronounced, with more and more people limiting the usage of water in the home. The country receives the least amount of rainfall, but this doesn’t change the fact that water is necessary for survival. With water tanks, you have the opportunity to save water for later use. When you have a water tank, you can store any little rainwater that you collect for later use. So, when the taps dry up, you can just resort to the stored water. When water shortage bites, you start wondering whether to waste precious drinking water to clean your vegetables. When you have enough rainwater in store, you can comfortably use it to wash your clothes, vegetables and other items and spare the clean tap water for cooking and drinking. As you know too well, water restrictions have been imposed all over the region. This means limits have been set on water use especially for non-essential tasks. With a tank-full of rainwater, you don’t have to limit yourself when it comes to non-essential activities. Instead, you can use the water without any restraint at all. What can you use the water for in your property – watering your lawn, clean your car or fill up the kids’ pool when the weather is hot. It all depends on you to decide what to do with the water. The financial crisis has made it more critical to find ways to save money. One of the best ways to do this is to buy a water tank. With the purchase, you stand to gain from rebates offered locally or nationally. The rebates are especially available for large water tank purchases or those that you connect to your laundry or toilet for internal use. One of the things that discourage many property owners from purchasing water tanks in NSW is the cost. They feel it is too high for them to afford, but there is good news. Once you bear the initial expense of the water tank, you get to save money on future bills. By collecting your own water, you are protected against these costs. You might not be comfortable with the water you collect for drinking from the town’s supply and would love to take charge of what you drink. For instance, if you are not sure about which chemicals are added to the water that you consume, you need a water tank. You save a lot on bottled water, which is usually the only option you have during water shortages. Your home can one day be another person’s home. This happens because you might decide to sell the home to move into a bigger one or to take up another job in another town. When this time arrives, you want to get as much as you can from the sale. One of the ways to add value to your property is to install a water tank. The prospective tenant knows that he won’t have water issues when he moves in. You get a better bargain on the sale of the property than if you didn’t have the water tank installed. The right water tank comes with different benefits that can add value to the property. Make sure you choose the right size and type to suit your needs.